14 October. This was the date when the Buddh International Circuit (BIC)—venue for the first Indian Grand Prix (GP) Formula One (F1) race and widely expected to be the new cradle of Indian motorsport—was to be opened to an “official" media scrutiny (it was postponed to 18 October, but this column was written before that). That apart, the BIC is almost an unreal piece of land. Its presence and the fact that all F1 teams have got their Indian visas in place for the last weekend of October, is proof of how it has pushed aside all sorts of babudom, politicos and red tape to see the light of day. Of course, BIC is the brainchild of Sameer Gaur, scion of the family that runs the Jaypee Group, who possibly knew better than anyone how to work his way around it all to make the Indian GP see the light of day. Brush off the race at your own peril because a lot of thought, and less corruption for sure, has gone into making the Indian GP happen than, say, the Commonwealth Games. 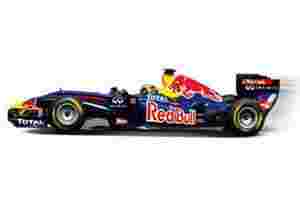 The newest addition to the F1 circus has been built to international standards. Everything from the racetrack surface to the grandstands and emergency exits have been built to meet global standards—same in Greater Noida as in Nürburgring! There is little doubt that the race will go like clockwork. Impossible as it may sound, but thankfully, the Federation Internationale de l’Automobile and BIC have systems in place to make sure that happens. The problems, if any, would arise for those outside the circuit—how easily can you get there, or park your car, or fight touts/cattle to get to the entrance, or wait at roadblocks organized by some local party or even genuinely troubled farmers. Plus, there will be the VIP entourage at the must-be-seen-at event. All this isn’t new to us, of course. We’ve seen worse during the Indian Premier League and World Cup matches. But while cricket, over the years, still has managed to nurture young talent for the future, motorsport has traditionally always struggled. There is no dearth of interest, though. My father knows who is Nazir Hoosein, the man behind the once famous Himalayan Rally of the 1980s, despite motorsport not being a prominent sport in India even till the late 1990s. Tiny go-kart tracks sprouted all over India a decade ago that always saw a melee of young children lining up. 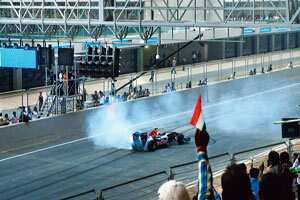 We finally got the second race track in India in the early part of the last decade near Coimbatore, Tamil Nadu. As of today, India has three full-time racetracks. Argentina has nearly two dozen. Why? Well, let’s revisit the first paragraph on politics. This time about motorsport bodies and how their inherent fights, different factions and many personal agendas have made sure that motorsport doesn’t do anything better than simply survive in India. There have been years when national championships have been started with much fanfare only to die untimely deaths. It’s the lack of focus and full-timers taking care of the sport that kills it more than anything else. But then, that’s the state of most sporting bodies in India. Including cricket. The infllux of more money and eventually politicians is not going to necessarily help the cause. F1 is a lot of money. As a run-up to the first Indian GP, we are seeing an unprecedented number of sponsorships and advertisements going on air—everyone is trying to get a slice of the action (I am sure the paanwallah on my street also has some contest going). Motorsport is a lot of fun, and it runs on sponsorships, so these guys will always be around. What would be better is if the first Indian GP goes beyond being just another achievement and a race run in the world circus of motorsport—if it can bring the right kind of people together to run the sport and make them accountable to its millions of fans. I know this is asking for too much. Nigh impossible. I felt the same scepticism when some years ago a young race driver suggested that F1 will come to India one day. I am waiting to be proven wrong again. Happily. Girish Karkera is the editor of BBC TopGear India.